With Venom‘s $80 million opening weekend shattering box office records, it’s only a matter of time before another installment of Sony’s Marvel Universe gets underway. 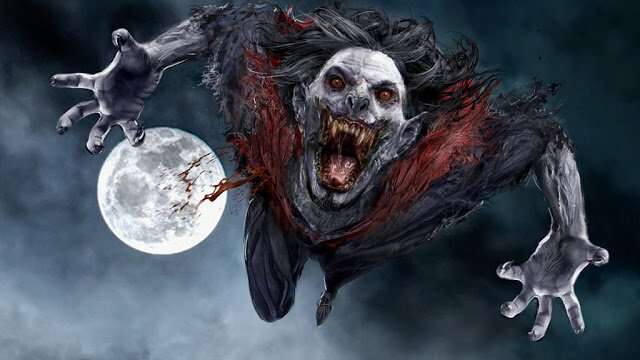 Thanks to longtime Spider-Man franchise producers Avi Arad and Matt Tolmach, we now know that the studio’s take on Morbius the Living Vampire is up next. News of the project, along with Jared Leto’s casting and director Daniel Espinosa’s involvement, first made headlines back in June. There hasn’t been a lot of new information since then, but in a recent interview with Collider, Arad and Tolmach provided a few brief updates on the film. Arad offered the noncommittal response of “More or less, February?” when asked when filming might start. However, he confirmed that Leto is still attached to play Morbius. We also know that the filmmakers are sticking with the script written by the team of Burk Sharpless and Matt Sazama (Power Rangers, Gods of Egypt). Morbius first appeared in The Amazing Spider-Man #101 in 1971 as the alter ego of Nobel Prize-winning biologist Michael Morbius. When he learned that he was dying from a rare blood disease, the brilliant scientist attempted to produce a cure by combining the DNA of vampire bats with electroshock therapy. The procedure saved his life, but at the cost of transforming him into a vampire with an unrelenting bloodlust. Are you excited to see Morbius cross paths with Venom on the big screen? Let us know what you think in the comment section below!